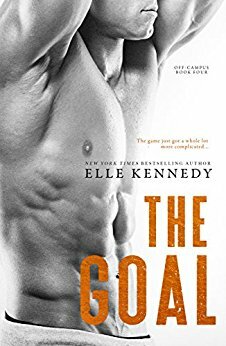 Review: 'The Goal' is the last book in the off-campus series and I must say, this is one of my favorite romance series ever. Book 2 was okay but 1,3 and 4 were all really, really good. Sabrina James is a type A overachiever. She has a tough home life, is not well off financially and works hard so she can go to Harvard Law. Things get complicated when a one-night stand with hockey player John Tucker results in an unexpected pregnancy. I loved Sabrina and Tucker and how their relationship evolved. Great series and great read!